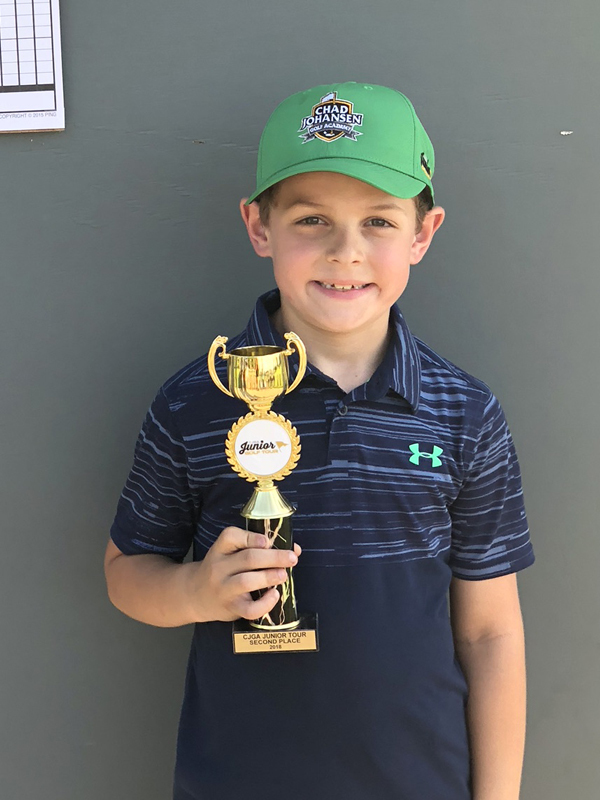 The CJGA Junior Tour consists of a “Hat System” that provides our junior golfers (and their parents) a clear path to overall game improvement. This system helps participants focus on the parts of the game they can master, regardless of their age or ability. All players start at the “White Hat” level, which is based on scoring from 100 yards and in from the hole. This is the most critical part of the game, and a skill juniors can master and play to at a level far beyond their age and strength level. They may be unable to hit the ball 250 yards, but they can play to the equivalent level in their chipping and putting. If we want our juniors to love the game, they need to see improvement, have success, and be on a path to mastery. 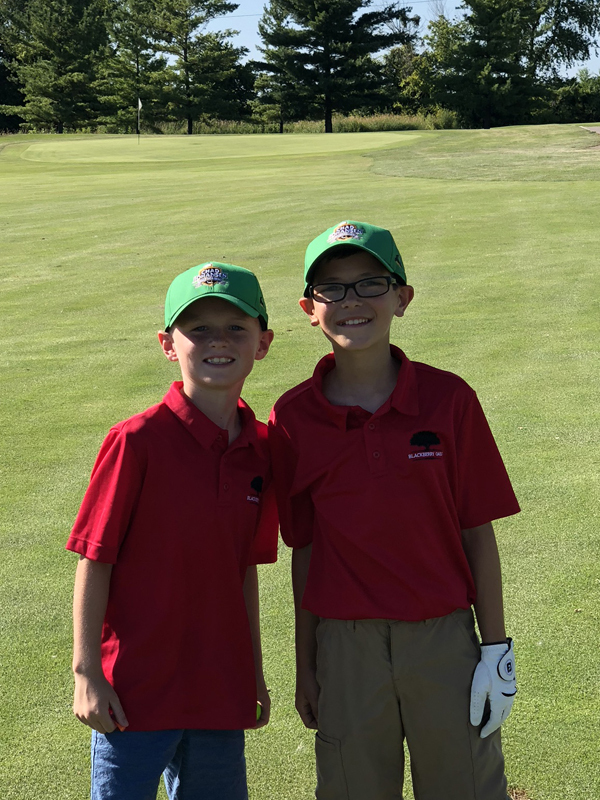 For a junior to advance in our hat system, they need to play in our Junior Developmental Tour where they play 9 holes with their teammates. 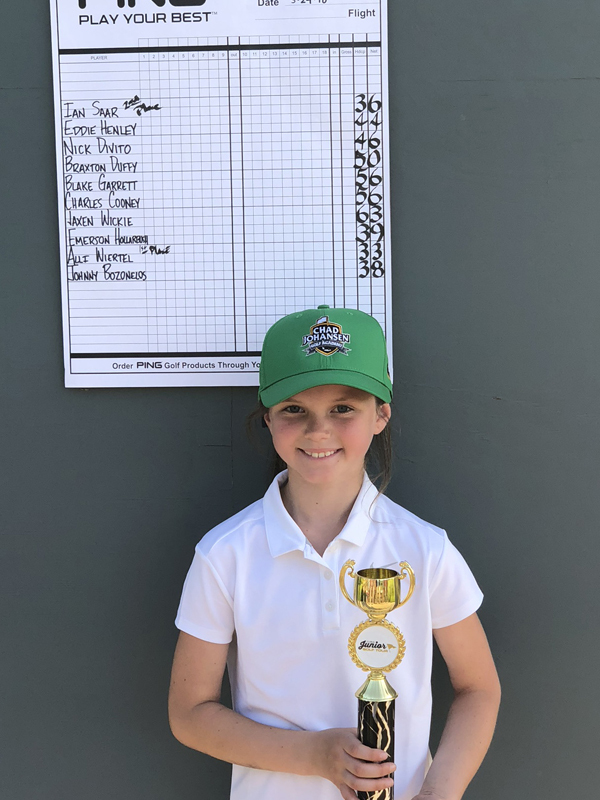 We encourage parents or grandparents to caddy for each event. This gives them the opportunity to compete in a tournament setting. 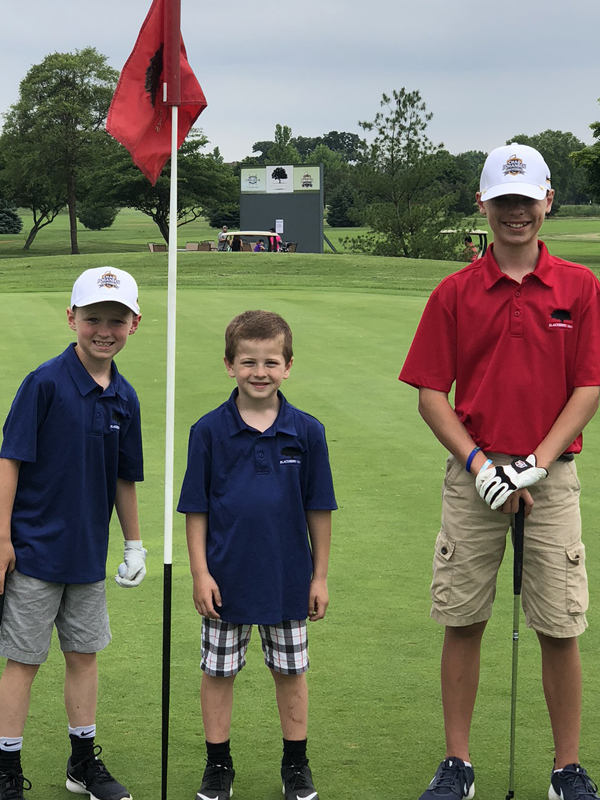 Our Junior Developmental Tour is a great way to introduce tournament golf to beginners along with the more advanced golfers. 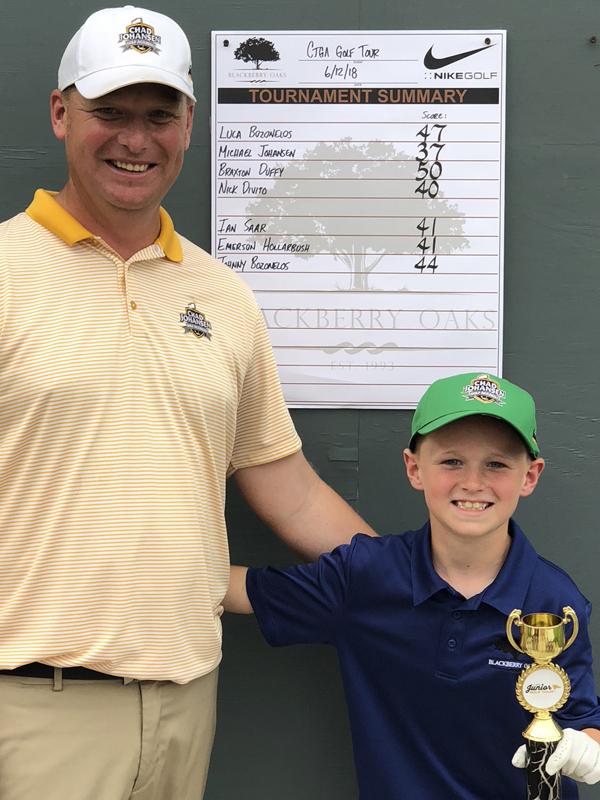 The main goal at the Chad Johansen Golf Academy is to give juniors the coaching, instruction, and positive support needed to improve their games and grow as individuals. 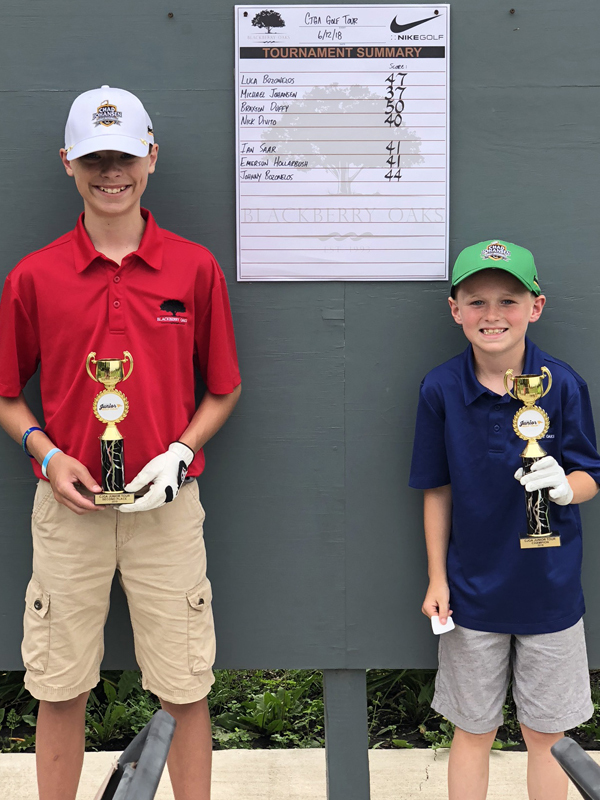 We believe that golf gives juniors of all ages and skill levels the opportunity to learn valuable life skills and build character. We also believe that golf is learned from the putting green backwards, not from the tee box forward. That is why we have developed a comprehensive testing system that teaches kids how to score first and hit for distance second. Be supportive of your player and all others. We are all out here to learn and to have fun. Winning is not the end game. Please check in at the registration table 30 minutes before each event. We will provide tournament scorecards, range balls, and a tee gift for each player. We encourage all parents to walk along or caddie with your player. It is required for all players 13 and under. Caddies are allowed to help the players line up shots and with club selection but please do this in a way that it does not slow down the pace of play. Also, please review marking the ball, repairing ball marks, replacing divots, raking bunkers, and talk with them about etiquette (not walking in other players lines on the greens. We cover these topics constantly in class but it is always helpful to go over it). Also, after the round, each player should remove their hats and sunglasses and shake hands with all group members and caddies. It is required that either caddies or players have a ball mark repair tool, a ball mark, and a couple of extra tees in their pockets at all times. This ensures that the player is ready to hit when it is their turn. Please play READY GOLF! 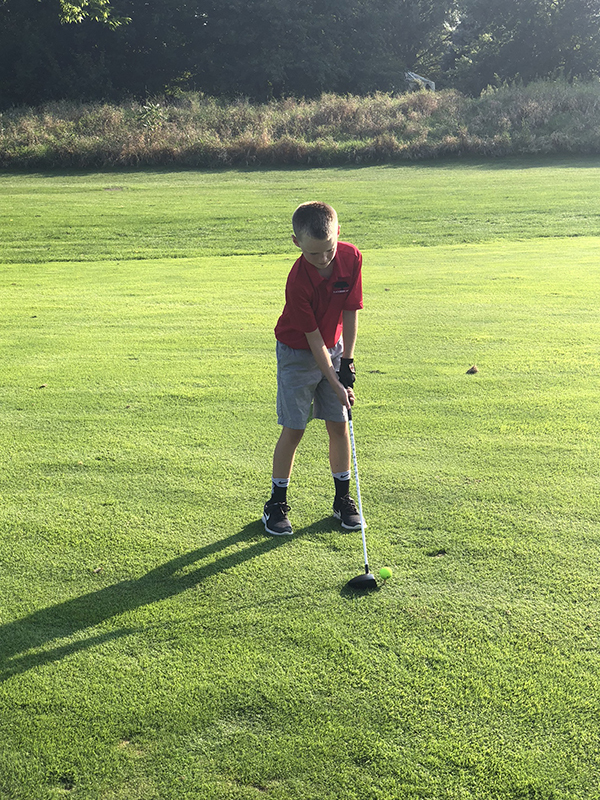 **PACE OF PLAY** – We have to be aware that there will be public play on the golf course before and after us and we have to keep the pace moving. We need to play in 2 hours. If a group has fallen behind they will be asked to speed up and ultimately to pick up and move forward. If this happens they will receive an “8” for the hole. For all players, if you get to 8 shots on a hole, you are required to pick up and proceed to the next tee box and you will get an “8” for that hole. PLEASE adhere to this as players that continue to hit shots just slow down the rest of the groups. If this becomes an issue or a group falls behind, the entire group will be asked to pick up and move forward to close the gap. Each person in the group will take an “8” for any missed holes. With this, please play ready golf. As long as no one is in danger of being hit, please keep hitting. In regards to putting, please continuously putt out whenever possible while trying to avoid stepping in other players lines and avoid marking short putts. With the little ones, most will not be wearing golf shoes so they will not be causing indentations to others lines. We want them to be aware of the etiquette rules but since they are so small it is often hard for them to straddle others’ putting lines. Do the best you can to observe the rules but also keep the pace moving forward and not mark short putts. Each player will be assigned what tee boxes to play prior to start of the competition. The tournament tee boxes will be very easy to recognize on the golf course. Upon completion of the event we ask that everyone meets at the scoreboard by the chipping green. You will receive your dinner ticket when your scorecard is signed. The trophy presentation will be given upon completion of the event. We will be playing by USGA rules except where local rules apply. All players will be switching scorecards within their group and are expected to keep their partner’s score as well as their own score at the bottom of the card. After the round the players need to go over each hole to make sure the score is accurate and added correctly. Once this is done both players sign the card verifying the accuracy. Also, on the first tee box, each player needs to identify their ball and its markings to all players in the group. If they lose or take that ball out of play they need to inform the other players of the change. All players need to be prepared to play. They must have a coin or a round flat object for a ball marker, tees, balls, and a ball mark repair tool in their pocket.